Your votes have been heard. The re-write has been in the works for a while and I finally got it finished tonight. 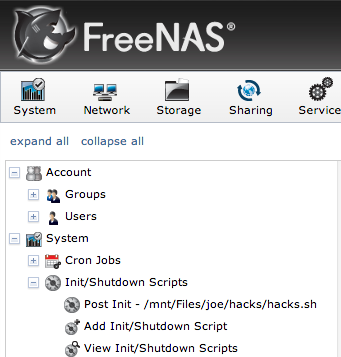 So I’ve been playing around with FreeNAS 8.2. Decided it would be handy to have OpenVPN running on the fileserver so my wife and I can get to our files if we are away from home. There are a couple of tricks that I discovered along the way to get this to work right. If you find this super useful, I wouldn’t turn down paypal donations. First the easy stuff. We don’t have a static public IP, so I needed to set up a DynDNS account. 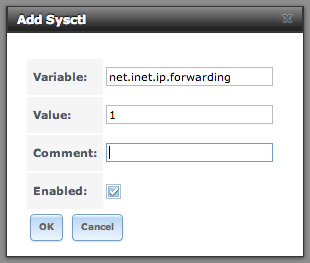 Once I did that, I configured the Dynamic DNS service on the FreeNAS box with my DynDNS account info. Then started the service. Next I needed to forward port 1194 on my gateway to the FreeNAS box. So now I have a domain name to use and a port that forwards to my file server. 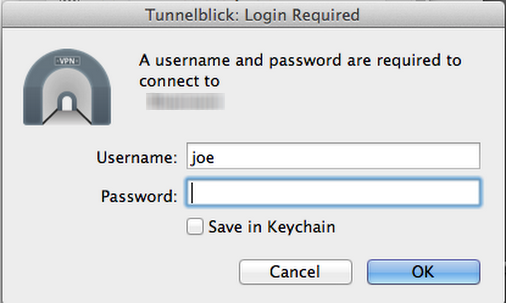 The thing about /conf/base/etc/local/etc/openvpn is that you need to create it. Inorder to do that, you need to make the filesystem writeable. There is a really good tutorial on setting up OpenVPN here. 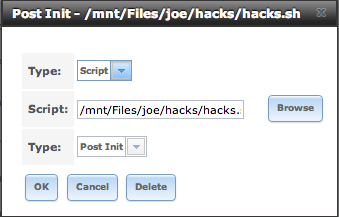 It goes through all the steps of generating your certificates, setting up your config files and the like. But pay no attention to the Adding routes to the OpenVPN server over at http://www.unix-heaven.org/node/47. The push route and route entries you enter below will handle that. When you get to the point of configuring the /conf/base/etc/local/etc/openvpn/openvpn.conf file you’ll need to make a bit of a tweak from the norm to get things to work. Here’s an excerpt of what was needed. You can find my full server and client configs in the comments below. You’ll have to change the push “route” to match your network ip ranges too. to see if OpenVPN is running. I think that’s pretty much it. Let me know if you have any questions.